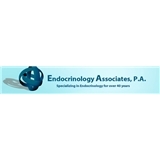 Endocrinology Associates (Chandler) - Book Appointment Online! Endocrinology Associates, P.A. was founded over 40 years ago and is under the direction of Dr. Daniel Duick, Dr. Chandana Mishra, and Dr. Sreedevi Reddy. We believe that being a good physician is more than just being knowledgeable about one's specialty. It must include compassion, empathy, recognition of differences in culture and religion and humor to help weather the vicissitudes of life's journey. We try our best to provide these elements to you our interactions. Dr. Reddy and staff were very knowledgeable and helpful. Based on other reviews, I was terrified to go here (new patient, first visit). I was pleasantly surprised, and the MA & MD were both great. Office staff wasn't uber friendly, but competent enough.